Ayurveda is a mind, body and spirit approach to health and wellness. It takes into consideration the wholeness of an individual and uses the education of five sense treatments, including diet, herbs, mantras, meditation, yoga, aromas, massage, colors, music, cleanses, and other therapeutic lifestyle changes to maintain wellness, prevent illness, and restore health. Ayurveda is an accessible practice that is truly for everyone. Ayurveda is a practice that allows you to take responsibility of your health while giving you the tools to make small changes over time. It is a lifestyle practice that meets you where you are. Ayurvedic Health Educators, Aimee Pruitt and Marina Zahran, are currently offering Ayurvedic consultations at Yohi 1020 (1020 Dennison Ave on the 2nd floor). To schedule a session please reach out to our practitioners individually via email or through their websites. 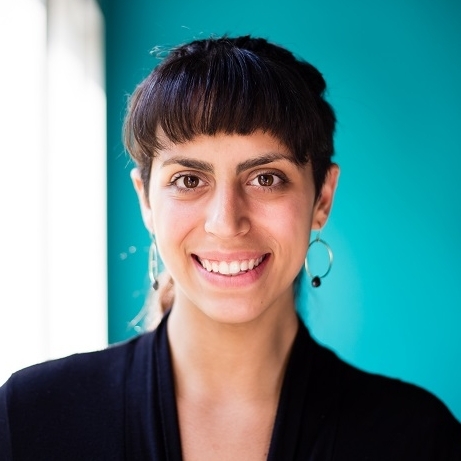 Marina Zahran is a NAMA certified Ayurveda Health Counselor, Ayurvedic Health Practitioner (completion 2019), and RYT500 (completion 2019) based in Columbus, OH. She adores Yoga + Ayurveda for it empowers us to take our health back! Both of these modalities train the mind and body to identify imbalances and address from the root rather then the ol' 'bandaid approach!". Her favorite aspect of this lifestyle is that she has never felt more aware of her mental and physiological functions. She can can identify a cold ten days out... & knows just what to do about it! She is the creator of Do Good. Be Well. and uses this platform to share Ayurvedic remedies, Tips & Tricks and research to support the practice of Ayurveda. She knows Ayurveda to be helpful in managing many lifestyle conditions, ranging from mild symptoms to established diseases. Ayurveda advocates for lifestyle modifications to support the bodies' eleven systems, and therefore allows the body to optimize the healing process. During these consultations, she will work with you to address symptomatic concerns - but more importantly, you will work together to address the root cause of any dis-ease in the body. Aimee has been a Registered Nurse for over 20 years and has always been drawn to the healing arts. She became increasingly frustrated with the ability to help her patients ease their suffering and improve their health and sought to discover other modalities. Stumbling upon Ayurveda at a workshop, she was drawn to it immediately. Ayurveda honors that we are each unique individuals and how we approach our health and healing should be just as unique. Ayurveda approaches the health journey in a completely holistic way, honoring not just the body, but the mind, emotions, our connection to nature and to the Divine. Ayurveda has allowed Aimee to not only find peace in her own mind and body but has completely changed the course of her life and career. Bringing her history as a nurse into her Ayurveda practice, she is able to marry the two sciences and meet the client right where they are today on their own health and wellness journey.